With a stay at Park Holiday Congress & Wellness Hotel in Prague (Prague-East District), you'll be 11 minutes by car from Centrum Chodov. 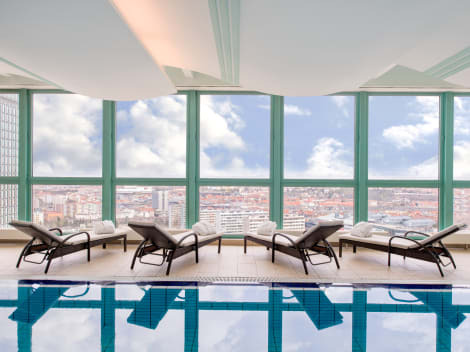 This 4-star hotel is 9.9 mi (16 km) from O2 Arena and 12.2 mi (19.7 km) from Wenceslas Square. With a stay at TOP Hotel Praha in Prague (Prague 11), you'll be a 3-minute drive from Centrum Chodov and 9 minutes from Fashion Arena Prague Outlet. This 4-star hotel is 5.3 mi (8.6 km) from Prague Dancing House and 5.6 mi (9.1 km) from Prague National Theatre. Make yourself at home in one of the 150 air-conditioned rooms featuring minibars. Complimentary wireless Internet access keeps you connected, and satellite programming is available for your entertainment. Private bathrooms with shower/tub combinations feature designer toiletries and hair dryers. Conveniences include phones, as well as safes and desks. The modern 4-star Hotel Don Giovanni is found in Prague’s Vinohrady district, close to the Zelivskeho underground station, providing direct links to the historic city centre. The hotel has five bars and restaurants, including a rooftop terrace, and you can unwind in the 12th floor spa and fitness centre or treat yourself in the salon and gift shop. Rooms have satellite TV, air conditioning, tea and coffee facilities and private bathrooms. 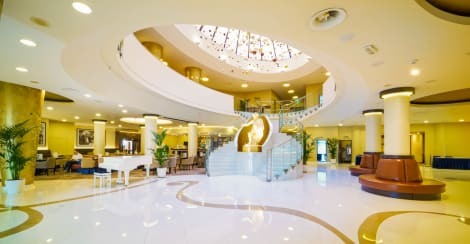 Hotel Occidental Praha is ideally located in the close proximity of Prague Congress centre in the commercial business district of Prague 4 with an easy connectivity with Vaclav Havel International Airport and all major sightseeing attractions. All air-conditioned rooms provide a flat-screen satellite TV with international channels, work desk, heating, hair dryer, safe box, coffee/tea making facilities and free Wi-Fi which will keep you in touch either with your business or family. Guests of the Occidental Praha can enjoy the breakfast buffet as well as traditional Czech cuisine in one of the hotel’s restaurants. The Mediterraneo serves à la carte; the Atlantico is a buffet-restaurant. In the new lobby bar B Lounge, guests can enjoy a wide variety of wine, spirits and cigars. The metro stops 300 m from the Occidental Praha at Budejovicka station, offering direct connection to the center of the city. There, the National Museum, the Wenceslas Square and the famous Astronomical Clock can be found. The 4-star luxury Hotel Panorama Prague hotel sits in a peaceful residential area just a short ride from the city centre of Prague. 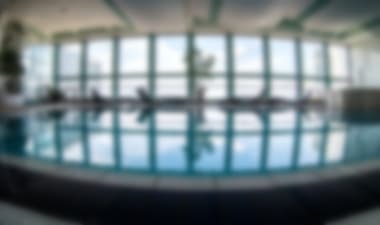 Best known for providing guests with value for money, the hotel has many extra features to boast about, such as the on-site casino, gift shop, fitness centre, whirlpool, indoor pool and relaxing solarium. 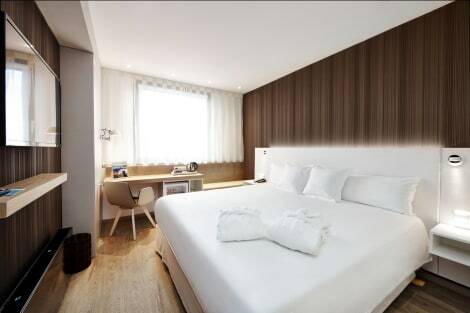 The rooms have many home comforts, from free wi-fi to a fully stocked minibar and air conditioning.